iHeartMedia Philadelphia will host the annual Bid for Breast Cancer, a fundraiser to benefit the American Association for Cancer Research (AACR), the world’s first and largest cancer research organization, headquartered in Philadelphia. The fundraiser will include an auction beginning Monday, October 9 at 12 p.m. through Monday, October 16 at 12:00 p.m. 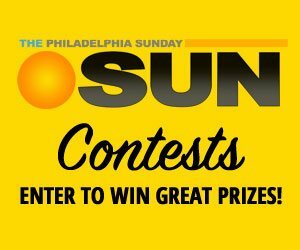 Listeners, collectors and auction enthusiasts can visit power99.com, q102.com, radio1045.com, wdasfm.com and real1061philly.com to preview and place bids on items such as a signed guitar from Green Day, a Coach bag signed by Selena Gomez and boxing gloves signed by Floyd Mayweather and Conor McGregor. iHeartMedia Philadelphia’s on-air personalities will encourage listeners to support AACR and place bids during the fundraiser. 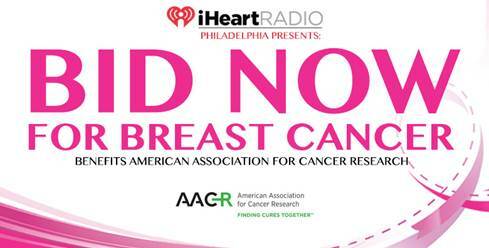 In 2016, iHeartMedia Philadelphia raised over $15,000 during Bid for Breast Cancer to benefit AACR. · An authentic EA Sports Game, pair of trunks and commemorative World Championship Boxing program, all signed by former Welterweight Champion Bernard Hopkins.